The look, feel and functionality of a website can shape the user experience and play a critical role in optimizing a site. Whether you need to design and develop a website from scratch or you are ready to redesign your business’s site, the professionals at Epic Visibility can create a compelling, engaging website for your business, positioning it for maximum online visibility and success. 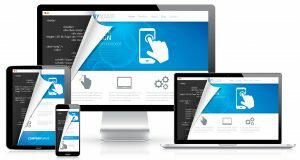 Our team of seasoned web development and design professionals are ready to start working closely with you to develop an effective design plan to showcase your business’s unique brand and offerings, helping you to stand out from – and above – your competitors. From conception to implementation, we will blend innovation with industry best practices to develop an alluring, powerful website for your business that will provide an optimal user experience – and that can help your site achieve better rankings, more traffic/leads and more conversions.